Erica Guicherit (left) spinning at a recent Thursday morning meeting of Cambridge Creative Fibre. Those with a creative flair, a knack for craft or a simple enjoyment of making clothing and other items may find the perfect home at Cambridge Creative Fibre. Originally started as Cambridge Spinners & Weavers over 51 years ago, the group has since been renamed Cambridge Creative Fibre, reflecting their inclusion of all things fibre-related. “We like the social side of it, and learning new skills,” said Kathy Rutter, who attends the group with her son Sam, 10, explaining that they joined a few months to learn to process the fleece from their sheep. Sam Rutter spinning wool from his pet lamb. 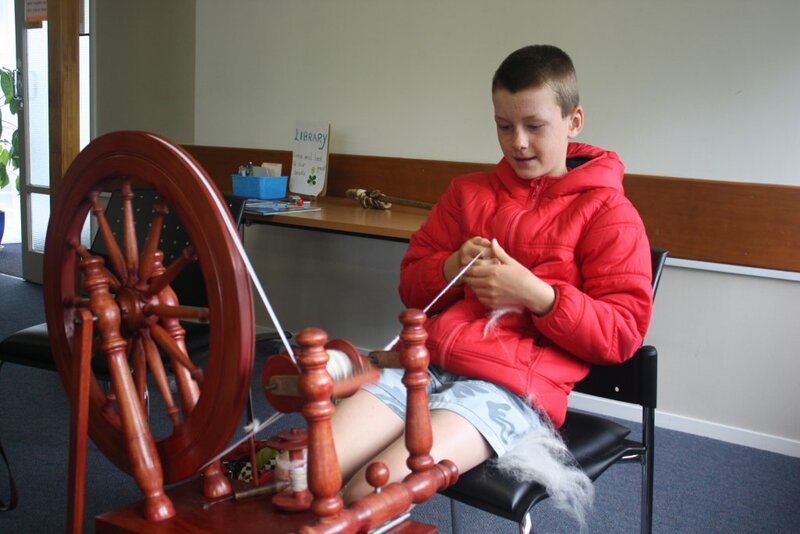 Keen as mustard to learn the craft, Sam was given a spinning wheel which he fixed at home so he could learn to spin his pet lamb’s fleece into wool. Already he’s started to make a fine collection of wool which he plans to knit into a clothing item, unsure yet on what he’ll make. He said he likes the group because, “it’s just fun,” he smiled. The group meets once a week, at 9.30am on the first and third Thursday of the month, and 6.30pm every second and fourth Thursday, at the Cambridge Health & Community Centre on Taylor St. Each day meeting features a speaker or technique demonstration, along with morning tea. When we visited the group recently, member Heather Millais did a demonstration on how to dye silk the eco-friendly way, using flowers and leaves from her garden. The group has a number of spinning wheels and weaving looms for members to use, and buys wool in bulk to on-sell to members. Membership is $50 a year and $3 per meeting they attend, with membership covering a range of tools they can use (besides fibre materials), a spot in their exhibition if they so choose, as well as access to an extensive library. But the best knowledge comes from the members, which they happily share with others. 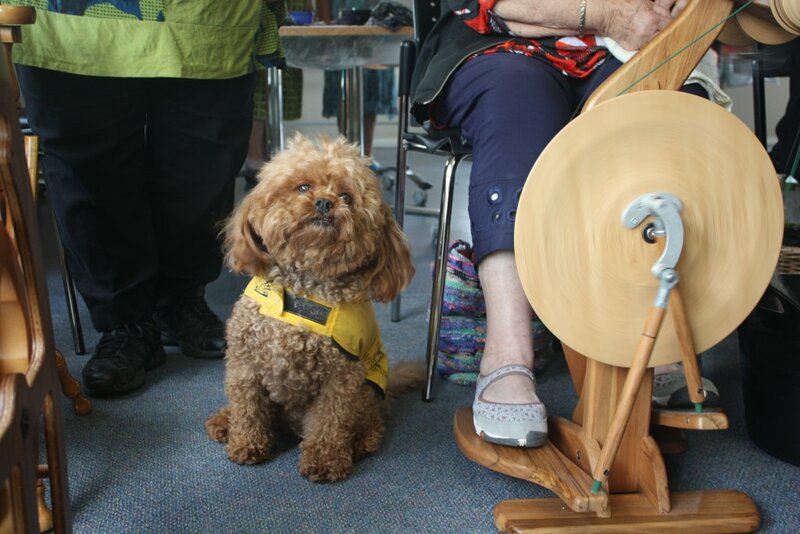 Marco the “Noodle” dog (Cavoodle x Poodle), a hearing dog owned by group member Johanna Brens, has been attending Cambridge Creative Fibre since he was a pup, pictured watching while his owner spins. 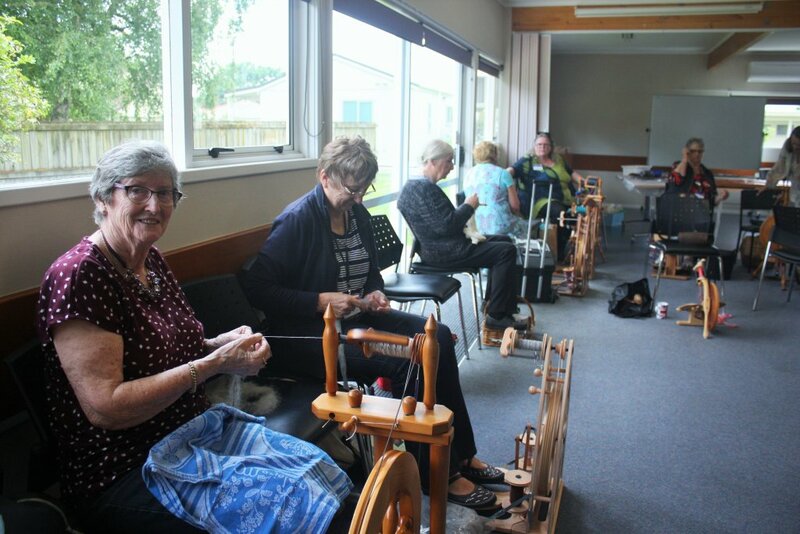 Some members make items for charity too, knitting vests and hats for new born babies to donate to the Cambridge Midwives and the Te Awamutu Birthing Centre, in addition to a number of other projects they’ve done over the years. Margaret said people of any age are welcome to come along to a meeting to find out more about the group, or phone Anne on 07 827 3156. 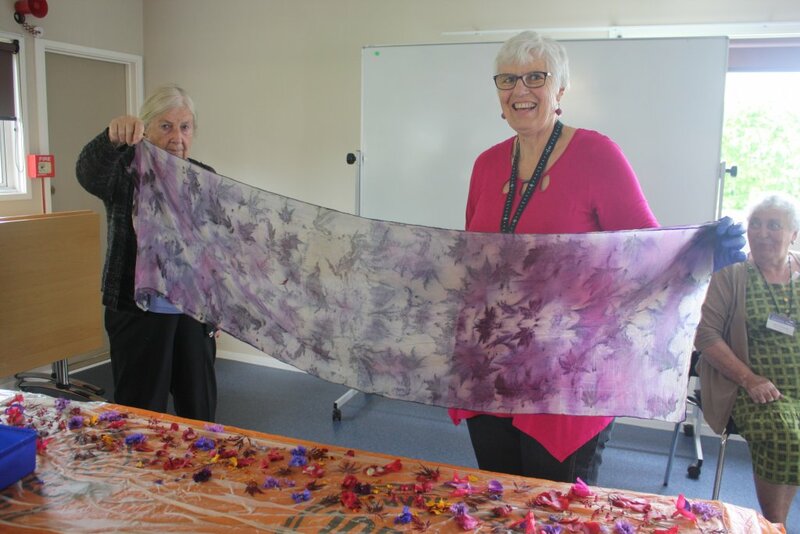 Heather Millais (right) did a demonstration on how to dye silk the eco-friendly way, using flowers and leaves from her garden, pictured with fellow group member Inga Bockholt (left).